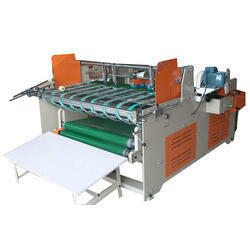 We are offering Folder Gluer Machine. Overall Size: 2.2x1.9x1.3 m, 2.2x2.4x1.3 m max. Size Of Box: 1500 * 1100 mm 1800 * 1100 mm min. Adhesive Solid: Patent-head Sanders Will Stick To A Very Good Mouth For Grinding To Remove Uv Light Layer Of Plastic Film Or Plastic Film And To Enhance The Bonding Glue. Save Glue: Glue Only The Equivalent Of The Amount Of Manual Coating Of 1/3. Save Labour: Easy To Manage And No Need Experience. Each Day Can Make 15000 Tp 25000 Boxes. 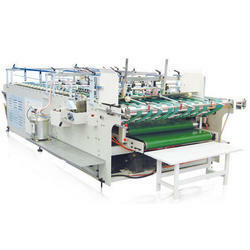 Boxes Smooth And Neat: Can Do The Abnormal Box And Window Box Which Can Not Be Made By Automatic Folder Gluer. Received Many Kinds Order Which Small Quality. Automatic Folder Gluer Can Not Do It Labour Need More And Also Need Experience But Not Easy To Recruit Customers Complain About Delay. Customers Often Quit The Carton Box For Hydraucone Because Of Tackless. 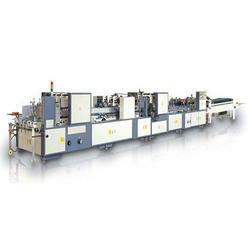 Suitable For More Area: Normal Carton Box, Abnormal Color Box, Cardboard Box. If Add Spray Gun Set Can Also Do Locking Bottom And Cover Box. 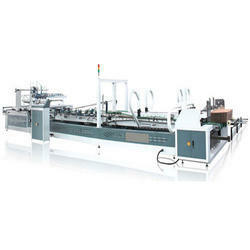 With the help of well-qualified professionals, we have stood at a top position in the industry by giving a broad array of Automatic Carton Folder Gluing Machine. 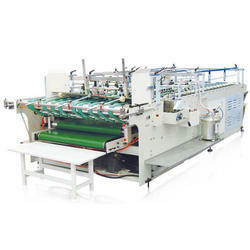 Banking to our industry experience, we are offering a wide variety of Automatic Folder Gluer For Small Boxes that is used for folding and gluing small sizes mono cartons. Through the HMI panel upon the main parts of the machine, it is very easy to fix the electronic system. Adopting transducer, motor, timing belts and so on, we can start the machine with little noise, besides, the conveyor above is made of aluminum confirms stability and convenience of the machine. 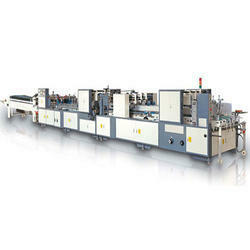 Looking for Automatic Folder Gluing Stitching Machine ?